Enerpac has launched the SHAS-Series Autonomous SyncHoist for high-precision load manoeuvring with a single crane, it is designed for the safe and accurate positioning of heavy and unbalanced loads. Deployed below-the-hook, SyncHoist can be used either directly between slings or under an auxiliary frame, enabling accurate hoisting where space is limited. 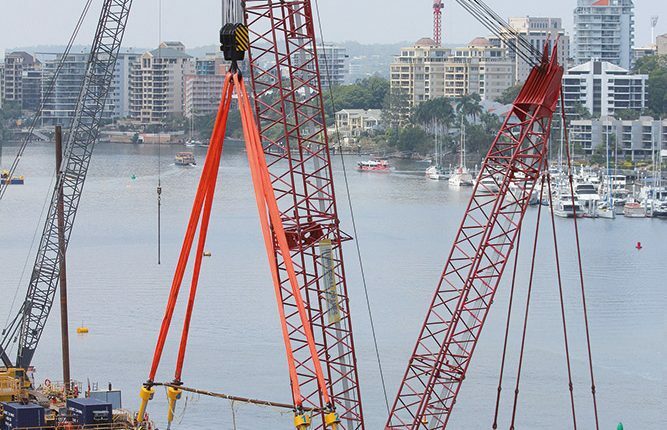 SyncHoist enhances a crane’s capability in terms of both its ability to accurately handle heavy and unbalanced loads, and its utility on-site. There is no need for an external power pack or for hydraulic hoses for the lifting cylinders, therefore, it does not require mid-hoist replacement of the power pack or generator. Moreover, where space on-site is an issue, the SyncHoist system has a small footprint as only one crane is required. Additionally, each of the four lifting cylinders, comes in a convenient storage and transportation frame; and is simple and easy to set-up with just one electric connection per lifting point. The SHAS-Series Autonomous SyncHoist system comprises four, double acting, push-pull cylinders connected to lifting points above the load by slings or under an optional auxiliary frame, and wireless controller. The lifting cylinders are available with 110 and 225t lifting capacities each, plunger strokes of 1 and 1.5m and capable of high precision lifting accuracy of +/- 1mm over the full stroke. A single operator controls and oversees the entire hoisting job, using a portable wireless control unit for remote control of all cylinders. In addition to synchronised lifting and lowering, the operator is able to independently lift and lower each cylinder for balancing, tilting and positioning loads. For repetitive hoisting tasks, the controller can also be pre-programmed for positioning, tilting and aligning loads. The wireless controller allows the operator to work at a safe distance. No cables are needed, so there is no risk of entanglement or trip-hazards.